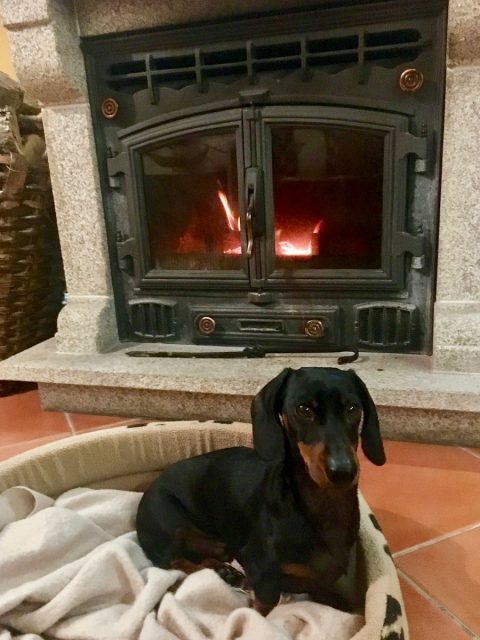 It’s been a couple of years since I’ve visited Portugal with my dog and I can’t wait to go back, for two reasons. Firstly, I visited in March, a month that delivers a mixture of cold, rainy days and sunny, warm ones. We didn’t see Portugal in the best weather, and it was far too early to hit the beaches. Secondly, since I visited Portugal, the law has changed to now allow dogs inside of restaurants and cafes, making it far more dog-friendly. (Particularly on those cold, rainy days!) 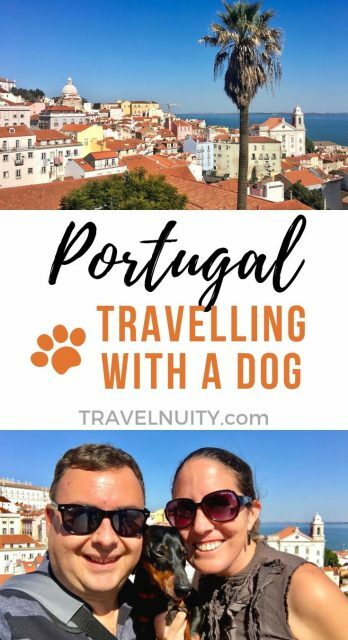 Here’s all the tips that you need for a fun trip to Portugal along with your pup. However, the situation is now in line with many other countries in Europe, leaving the decision as to whether dogs are allowed inside up to the owners, as long as animals are kept out of food preparation areas. There’s still probably many restaurants where dogs are not allowed inside, as customs change, but it’s always worthwhile asking at the entry. The situation with dogs on public transport in Portugal is better than in neighbouring Spain. Often larger dogs as well as small dogs are allowed on trains and other forms of transport. Trains in Portugal are operated by Comboios de Portugal. 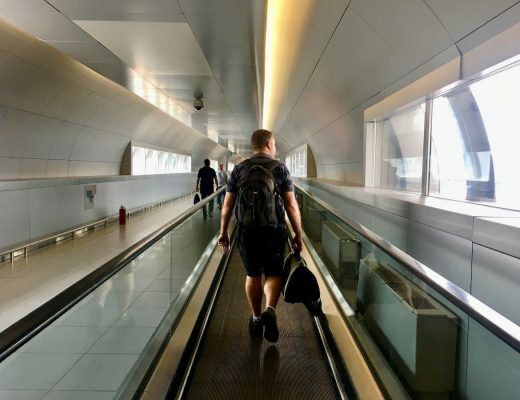 The rule for the majority of trains, including intercity and regional trains, plus urban trains in Lisbon, Porto and Coimbra, is that both small pets in a box are allowed, as well as larger dogs on a short leash and wearing a muzzle. 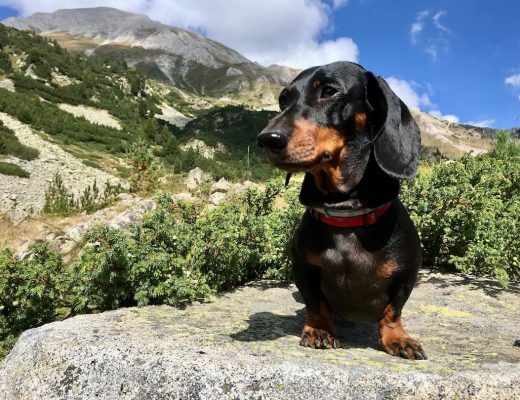 For small pets, they can travel for free, while larger dogs can travel for free on the urban trains, half-price ticket on Regional and InterRegional trains, and full-price ticket on Alfa Pendular and Inercidades trains. For larger dogs you also need to carry their vaccination card and valid license (or presumably your pet passport). On international train connections to Portugal only smaller pets in a box are allowed. 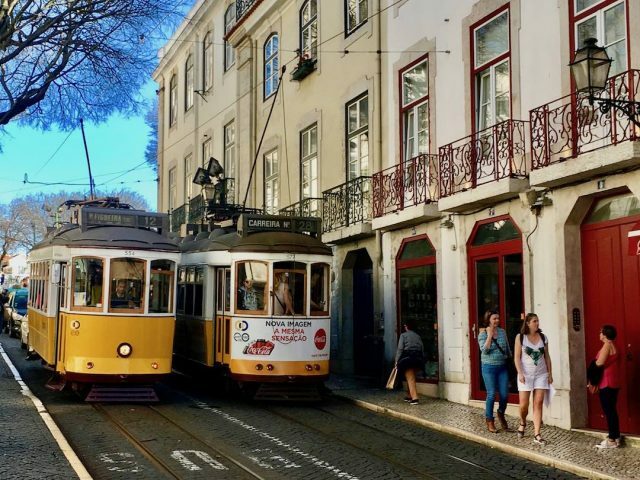 This covers both the Celta train from Porto to Vigo in Spain and the Sud Expresso and Lusitânia Comboio Hotel sleeper trains terminating in Lisbon. 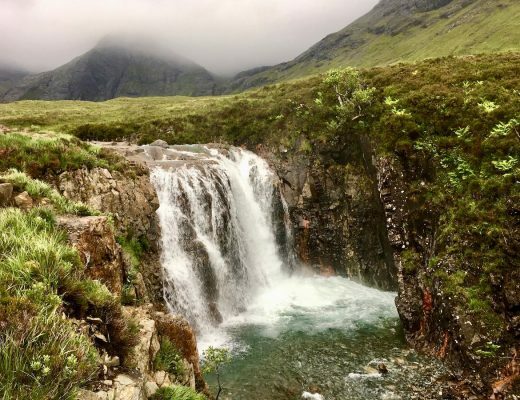 There are some additional restrictions on size and weight, check the rules for the full conditions. Pets are also only allowed in a sleeper compartment if you book the entire compartment, plus a hefty fee applies. On the metro in Lisbon, the rules that apply are similar to those for trains. 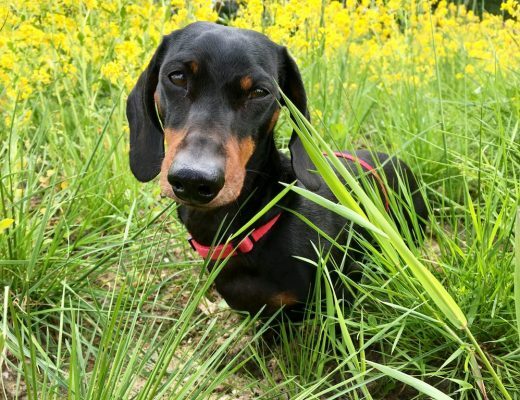 Dogs need to either be in a container or on a short leash (no longer than 1m) and wearing a muzzle. 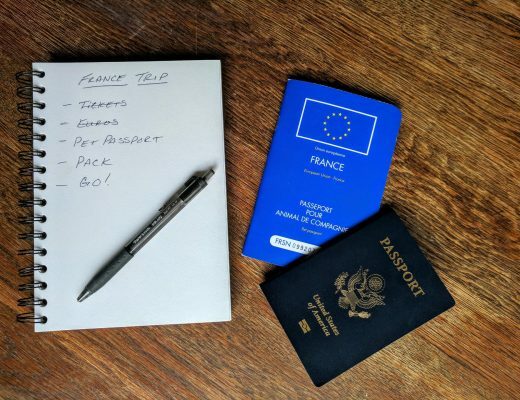 No ticket is required. It’s a little trickier to work out the situation on buses and trams in Lisbon, operated by Carris. The website stipulates that “the transport of animals within our vehicles is allowed only if they are properly secured”. This seems to allow leashed animals, but other sites mention only dogs in carry bags are allowed. To be on the safe side, when we took the bus in Lisbon we took our dog in his bag. The rules are also more generous when it comes to long-distance buses in Portugal than in many other countries. On the coaches operated by Rede around Portugal, particularly popular for trips to the Algarve Coast, small dogs in an appropriate cage are allowed on board, as long as it is small enough to fit in the available space, with a half-price ticket required. For the full wording, read here. Note also that the following breeds of dogs are regarded as dangerous in Portugal, and are not allowed on public transport: Fila Brasileiro, Dogo Argentino, Pit Bull Terrier, Rottweiler, American Staffordshire Terrier, Staffordshire Bull Terrier and Tosa Inu. 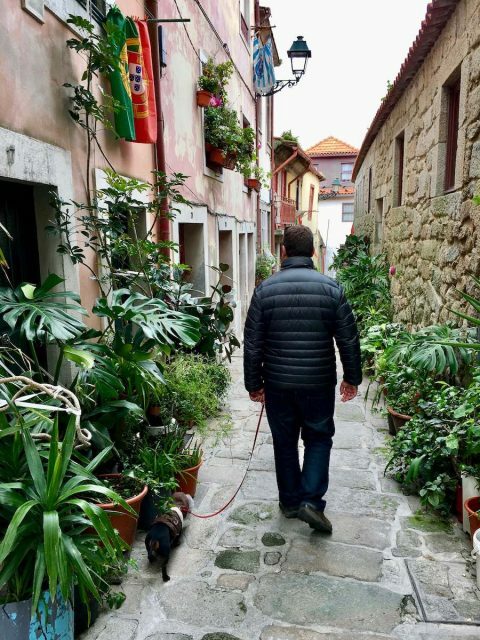 According to the research that I did on the percentage of pet-friendly hotels in European cities, Lisbon in Portugal almost came at the bottom. 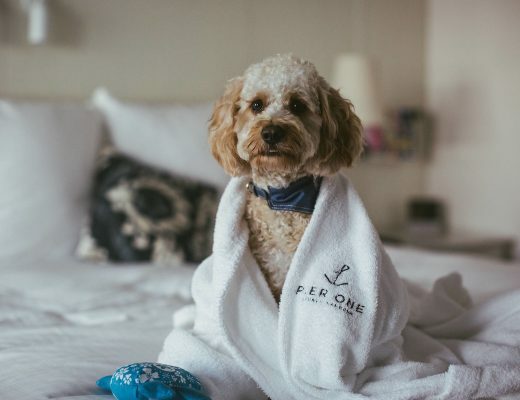 Only 6% of hotels were marked as allowing pets, with only Dublin ranking lower. Although at least that was still 40 out of a rather large 661 hotels, guesthouses and Bed & Breakfasts. 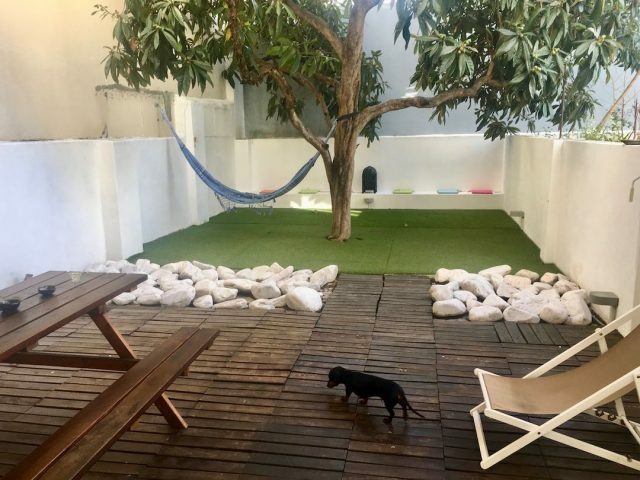 While we were in Portugal, we didn’t actually look into staying in hotels, but instead found some wonderful Airbnbs. 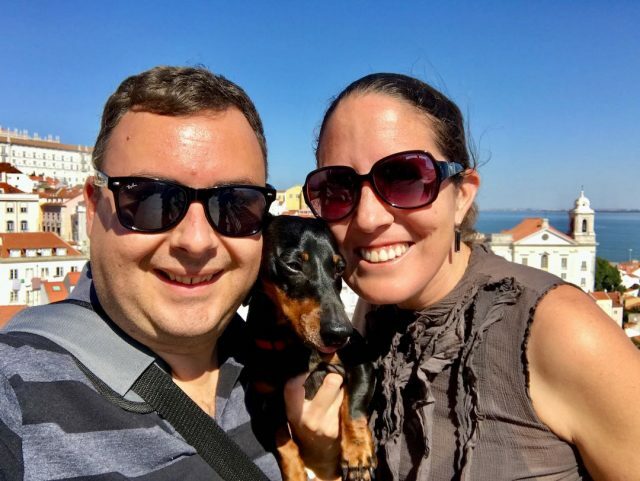 We mainly stayed in apartments, including a ground-floor apartment on the outskirts of Lisbon with a large backyard – perfect for our dog! In the Douro Valley we also stayed in a delightful cottage surrounded by vineyards and complete with an open-fire. 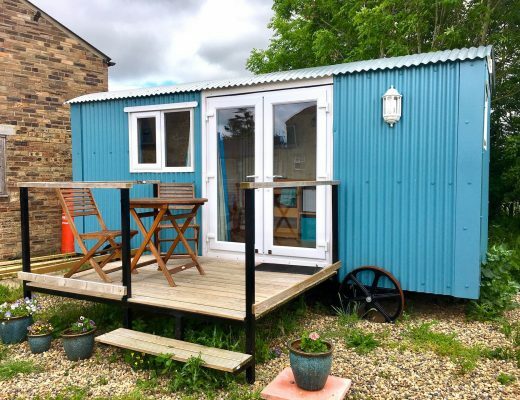 You may need to dig, but there are some great dog-friendly options for accommodation. 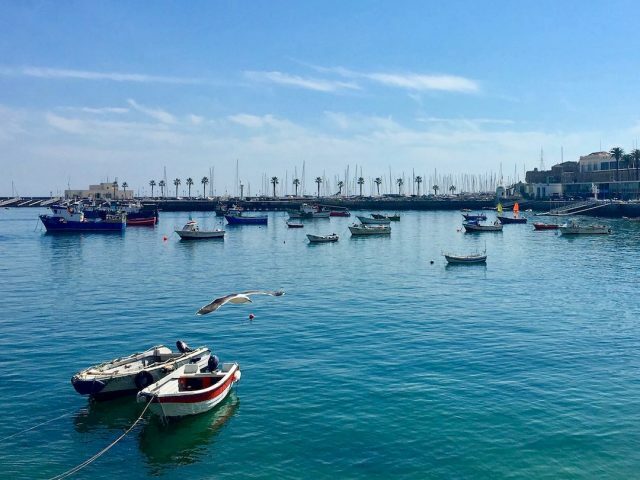 While in Portgual, consider including some of these dog-friendly sightseeing options in your itinerary. It’s a difficult decision to make, but Lisbon narrowly wins out for my choice of favourite city in Portugal, probably due to the beautiful weather than we had during our visit. Be prepared for plenty of hills, unless you resort to the trams (of which the most crowded are best avoided when you are carrying a dog). 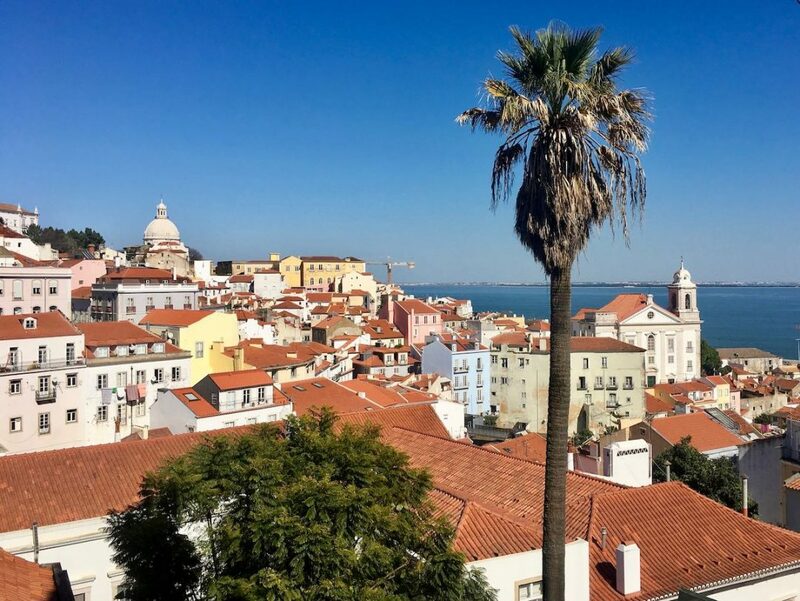 Don’t miss the narrow laneways of the Alfama neighbourhood or the Miradouro de Recolhimento lookout. 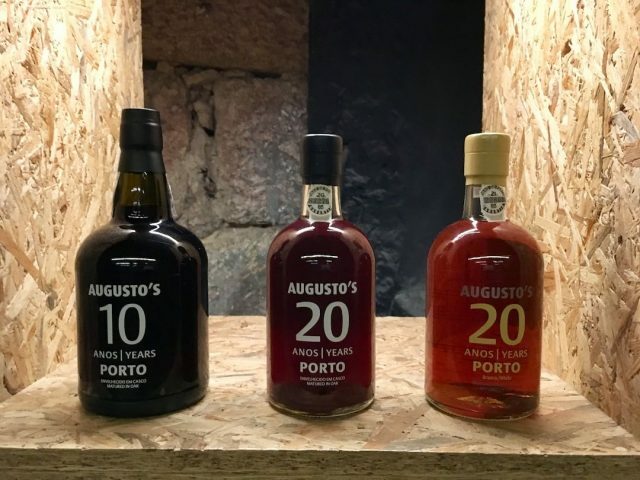 The northern city of Porto is synonymous with port, the fortified wine named after the city. 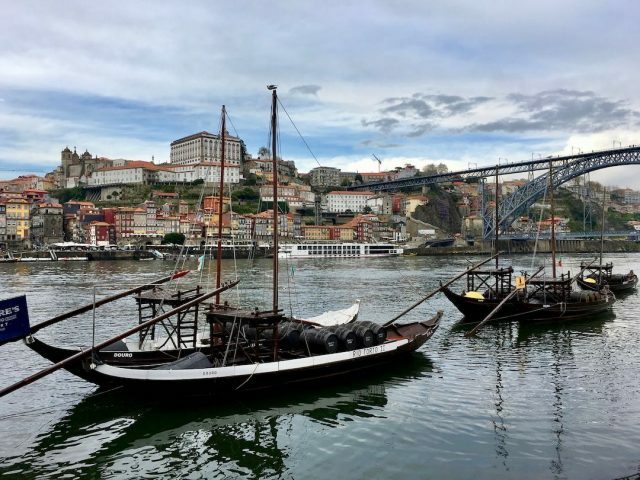 To visit one of the historical port caves and enjoy a tasting head to the south side of the Douro River to Vila Nova de Gaia. 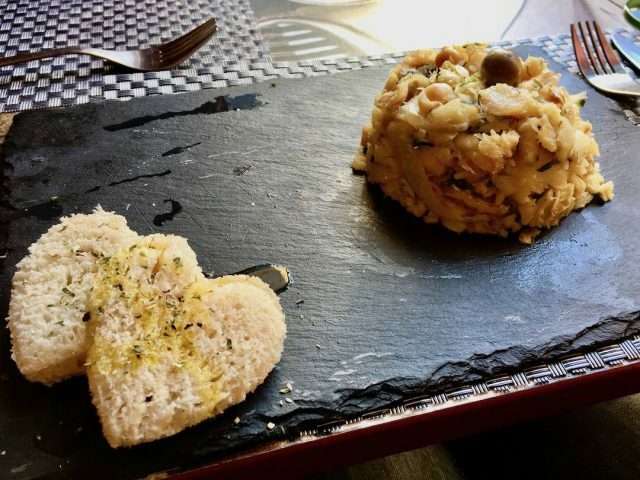 We enjoyed an entertaining visit and a delicious tasting at Augusto’s, a boutique merchant. Our small dog was welcomed along with us, although bouncing puppies probably wouldn’t be. 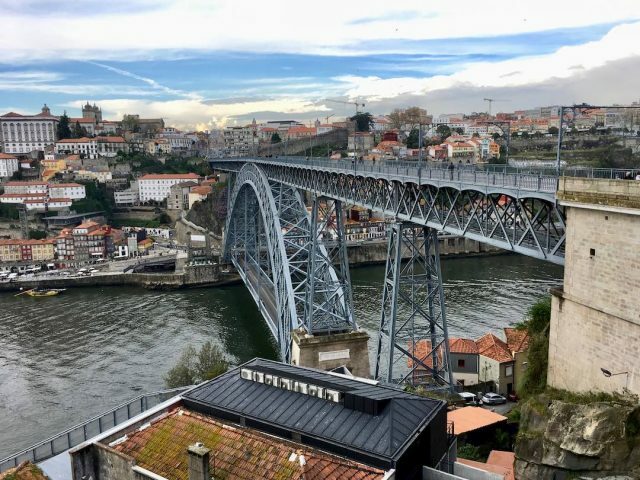 To walk between the centre of Porto and Vila Nova de Gaia, it’s best to take the Luîs I Bridge. This arched bridge is unusual in that on the low-level there is a road, while the upper-level carries the metro. It’s possible as pedestrian to cross on both levels. The lower level has the narrower footpath, while the upper footpath is wider and offers better views. Just keep your dog on a short leash or carry them in our arms. 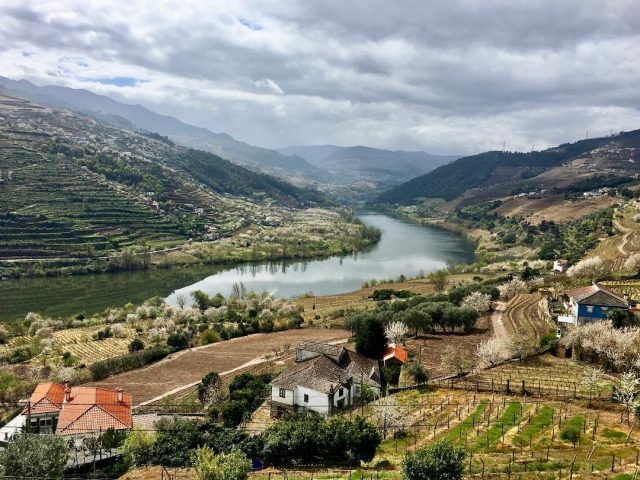 The famous port wines (plus a variety of whites and reds) are grown upstream from Porto in the renown Douro wine region. 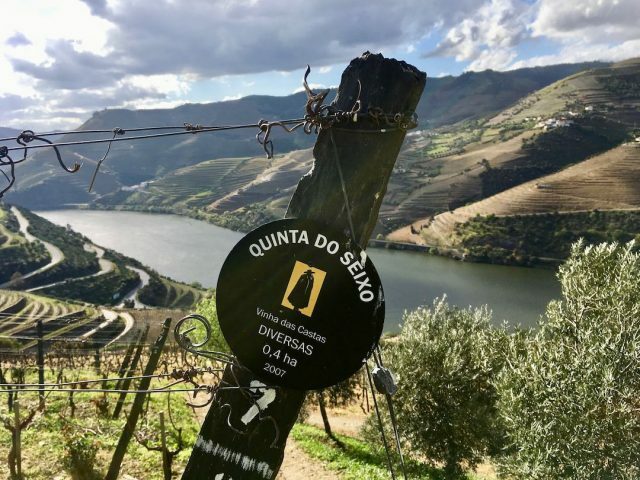 The town of Peso da Régua with its wine museum is a good base to use to explore the region. Spend a couple of days visiting vineyards, driving to scenic points and enjoying the fine restaurants in the region. It’s best to make an advance booking for visits to wineries. 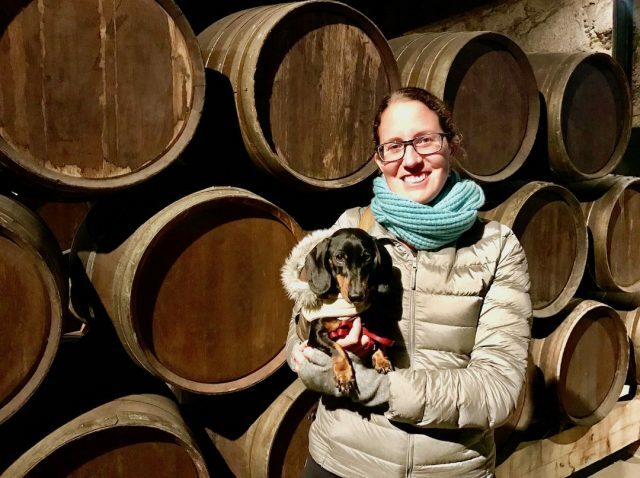 We were lucky when we popped into Sandeman’s that they were about to start a tour for another couple, plus our dog was allowed to join us. 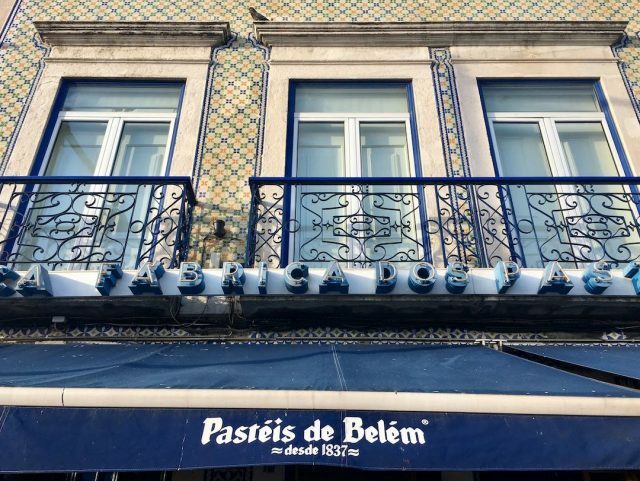 You can’t visit Portugal and not enjoy a Portuguese Tart (or two, or more…) One of the most popular bakeries serving these tarts is Pastéis de Belém in the Lisbon district of Belém. The queues are often long, but move faster than you expect. You probably need to leave your pup outside for a moment, just long enough to buy a takeaway box. Then head to the Park de Belém across the road or walk to Belém Tower. Although it’s probably best you don’t share any with your dog, they’re too good! 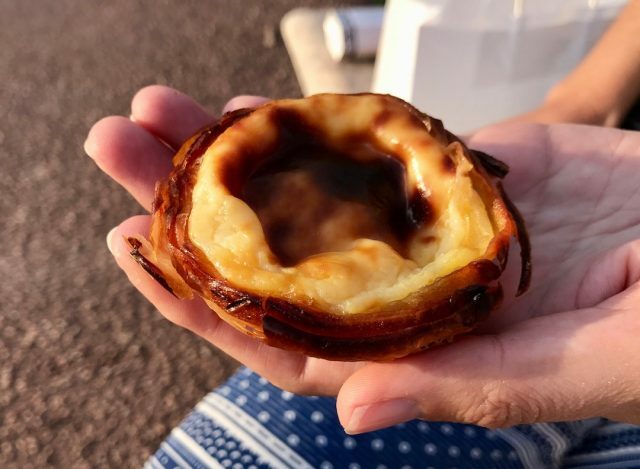 A crisp Portuguese tart, ready to be devoured! One of the most popular day trips when in Lisbon is to head to Sintra, with its many palaces including the colourful Pena Palace. 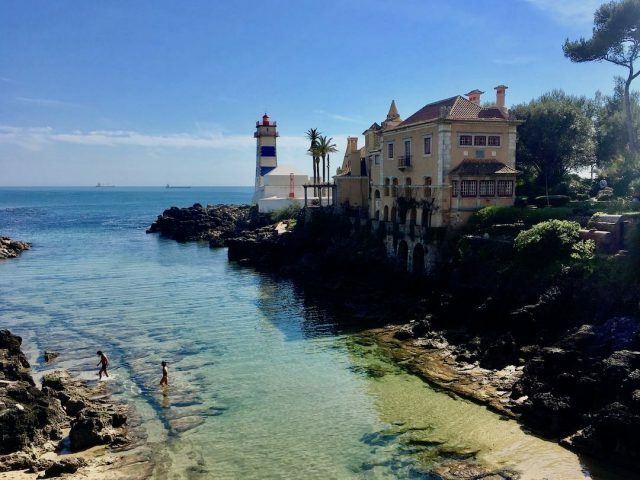 However, dogs aren’t permitted, including in the parks, so for a dog-friendly day trip instead take the train to the beachside suburb of Cascais. Dogs travel for free on the train, just make sure they have a leash and muzzle if they aren’t in a carrier bag. The train arrives close to the beach and harbour. Head out for a wander through the streets then over to the coastline with its parks and coves, perhaps walking all the way to the Boca do Inferno, a natural sea archway. From Porto, an ideal day trip is to head to historic Guimarães on a day trip. Home to many well-preserved medieval buildings, the town is regarded as the birthplace of Portugal. 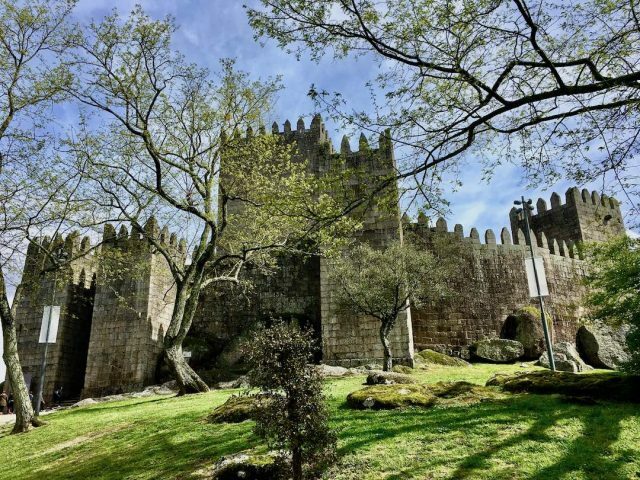 One of the highlights is Guimarães Castle, standing on a hill-top above the town, and I do believe we were permitted to bring our dog along inside – not that there is much to see. 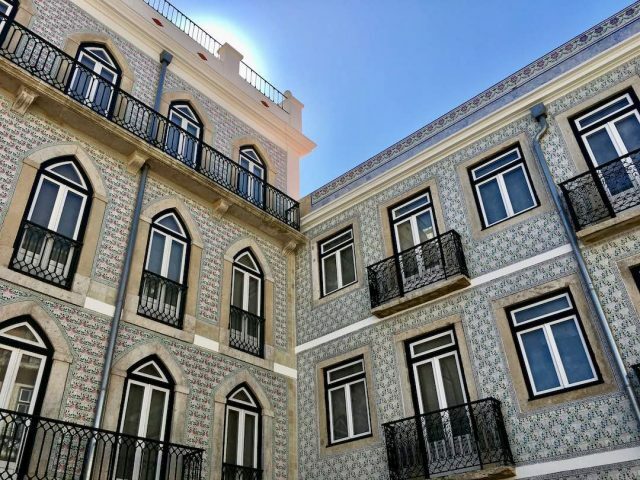 Oliveira Plaza in the heart of the town is also charming. The beaches in the Algarve region are some of the best in all of Europe, and I can’t wait to return and hit them up. However, what about dogs, are they allowed on the beaches? The rule in Portugal is that dogs are not allowed on “concessioned beaches” (i.e. those with beach beds and the like) with lifeguards, during the bathing season. This starts anytime between Easter and May, depending on the beach, and lasts through to October. On the other hand, at non-concessioned beaches and where there are no signs prohibiting them by the local council, dogs are allowed right throughout the year. However, I’ve heard reports that many beaches in the Algarve region have signs prohibiting dogs. 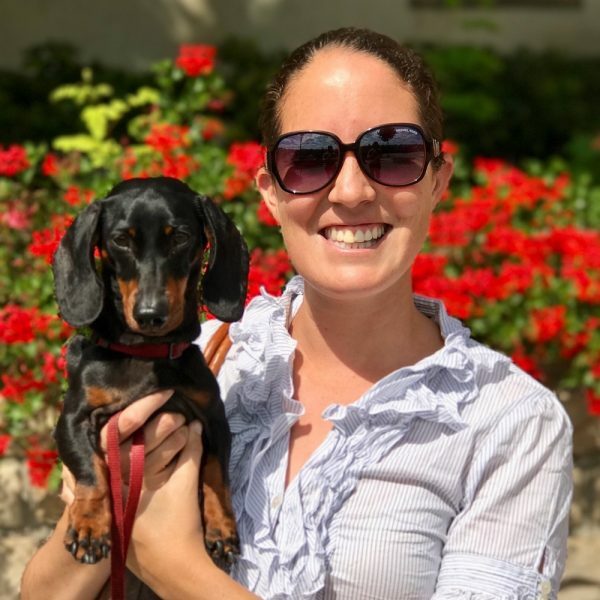 So, I recommend visiting outside of the summer season to head to the beach with your dog, or else looking for quieter beaches (without lifeguards) where your dog can frolic. 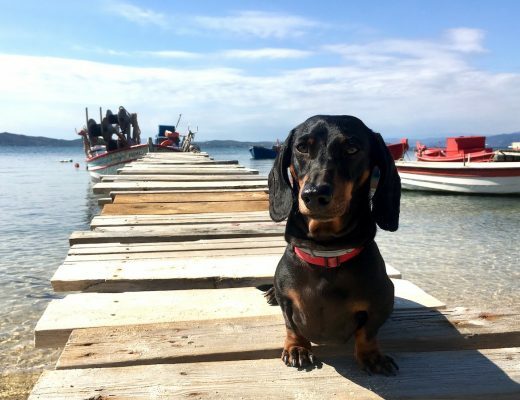 There is a growing demand for dog beaches in Portugal, with two opening in recent years (North Sand Portinho Beach in Peniche, north of Lisbon, and Coral Beach at Viana do Castelo, on the far northern coast). Perhaps, a dog beach might soon be declared on the Algarve coast?